How does HigherEdMe get students? A platform is a database where you can find students who are looking for a program, and where you can connect with them. 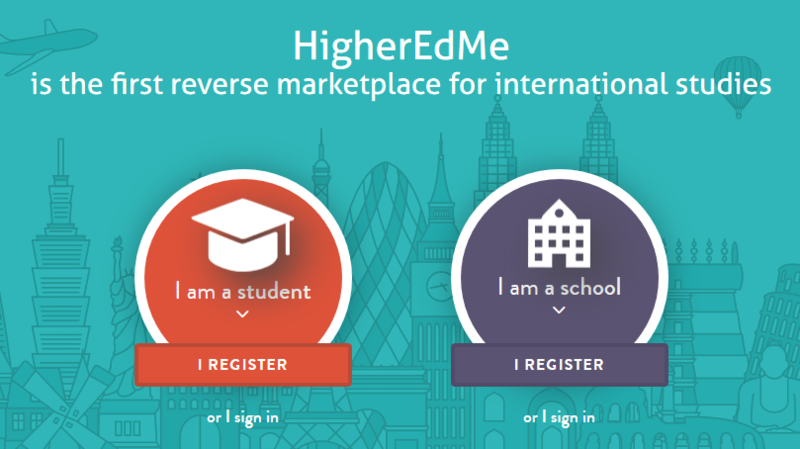 HigherEdMe uses social networks to reach students and direct them to the platform. We then help them describe their study abroad wish. Some students also subscribe because of word-of-mouth. Subscribing is free for a student, and the platform gives no unfair privilege to a school/university. Every institution has the same message length and the same chance to convince a student to come study in their institution. Students come from many different countries, with different academic levels, for initial or continuous education. The HigherEdMe platform has filters that help you refine your search to find potential candidates. An institution can sort student wishes by country of origin for visa issues, desired country of study, study theme, academic level, desired length of stay, desired language of study, and budget for the project. Saving time is crucial for international student recruitment officers and for marketing managers. That is why HigherEdMe has developed alerts on filters. Every time a new student enters a wish that matches an institution alert, a weekly email is sent to the institution with a link to the student profile. Contacting the student at the very beginning of the study abroad project process is very important. So HigherEdMe has designed an auto-reply message feature. Every time a new student enters a study abroad wish that matches your program filters, a template contact message is sent. This message contains key data such as program details, contact details, tuition fees and admission process link. Our pricing is simple : our free international student marketplace is available up to 50 messages per month. If you want to message more students, a basic plan will unleash your potential up to 500 messages per month, with other features and details on student profiles.